Get great info and tips on the latest trends and Inovity events. You have signed up to receive periodic email communications from Inovity. 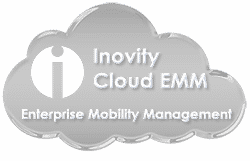 From time-to-time we will send you emails on Inovity sponsored events and industry news. Your information is in our vault. We do not share or sell your personal information with anyone. Should you choose not to receive these communications you can unsubscribe at anytime.